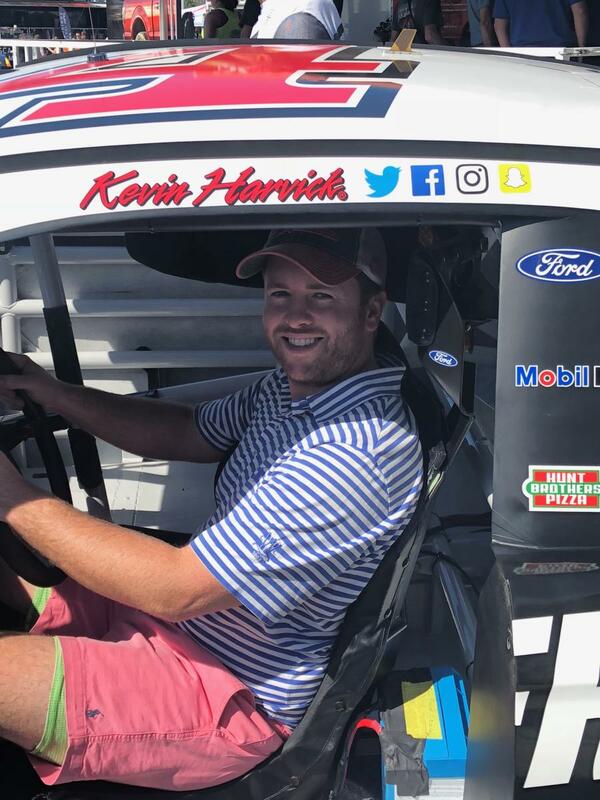 Teddy McKeon of Construction Equipment Guide takes a break from the auctions to help out Kevin Harvick in finding a little bit of extra speed in his number 4 Ford NASCAR racing machine. 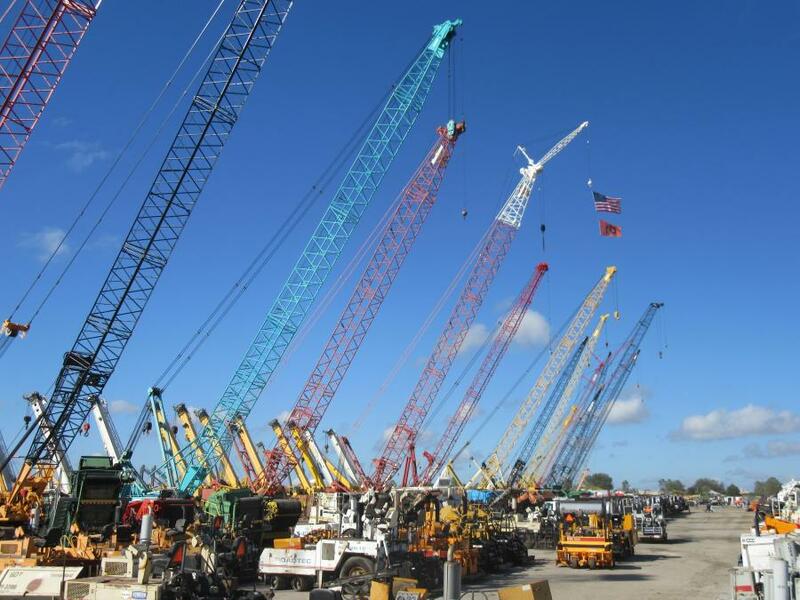 Construction Equipment Guide (CEG) has been attending and covering the annual Florida Auctions since the 1970s. 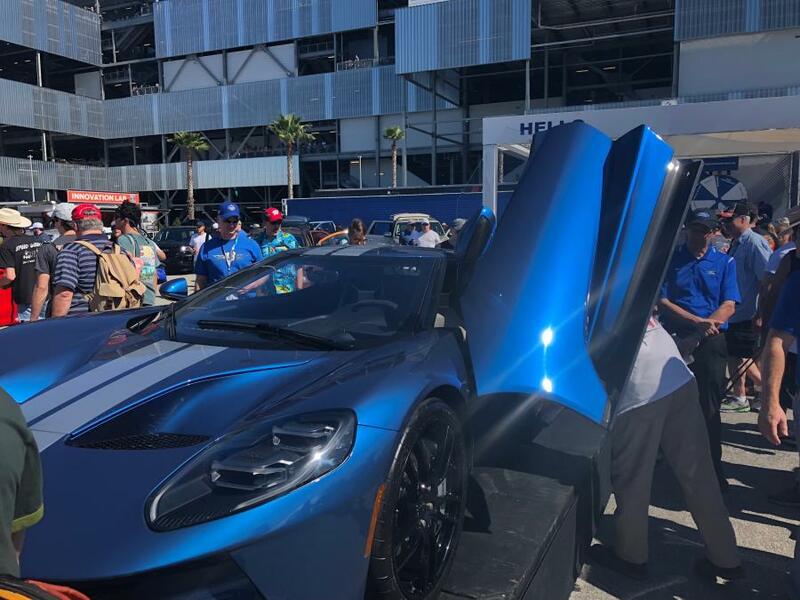 Like many of you, we can't pass up a great opportunity to beat the winter doldrums up north to soak in some warm, sunny Florida weather in February. Three auction companies participating in the 2018 installment of the annual January to Florida sales have been doing it for decades. Yoder &Frey started doing its Florida Auctions in 1975; Vancouver-based Ritchie Bros. began in 1984; and Bridgeport, N.Y.-based Alex Lyon & Son started in 1994. This year, however, has seen a new auction player literally enter the ring — Jeff Martin Auctioneers, based in Brooklyn, Miss. Alex Lyon & Son's auction ran from Feb. 3 through Feb. 11; Jeff Martin's sales ran from Feb. 12 to 14; Yoder & Frey's auctions ran from Feb. 13 to 17; and Ritchie Bros.' auctions are going on right now — theirs began Feb. 19 and will run through Feb. 24. Attendance and bidding has been strong throughout the auctions so far; optimism abounds in industry and contractors have been looking to add to their fleets with expectations of a busy construction year ahead.